Some ideas are just too good to die, and some ideas simply refuse to die whether they’re good or not. It’s unclear which of those two the concept of a gender-swapped How I Met Your Mother spin-off is, but either way it’s an idea that’s apparently never going to go away. 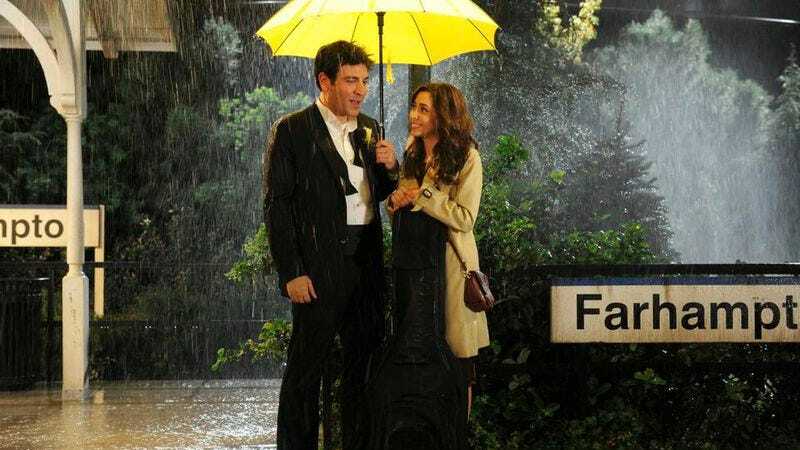 It first popped up in 2013 as How I Met Your Dad, a pilot pitch sold to CBS by HIMYM creators Carter Bays and Craig Thomas. The idea was to take the basic setup of HIMYM and tell a new, flashback-based story about a woman who eventually meets her husband, with no actual characters or storylines crossing-over from the original show. CBS ended up dropping the pilot, and though Bays and Thomas tried to keep it going a few months later, they couldn’t work out a deal with the network. Interestingly, Deadline also notes that this project won’t necessarily follow the original show to CBS. Since it’s not a “traditional spin-off” and won’t include any of the old characters, it could land at a different network—assuming it actually lasts longer than How I Met Your Dad.